As a recent recipient of a class set of iPads, I am on an incredibly steep learning curve as I integrate them to my Primary French curriculum, finding what works and adds depth, motivation and quality to the children's learning, and what doesn't. Most of my ideas have been gleaned from scouring Twitter and following active iPad users - there's lots of help and many experts out there, but I'm very much a rookie just trying to share my learning journey! Having met these three apps last year, I am steadily getting to grips with using them to best effect in French. They each have different characteristics which means that they often sit well alongside each other as a suite of assessment tools, whether for formative assessment, giving me an idea of where pupils are in their learning of a topic or grammar point, or summative assessment, showing me the point reached by each pupil at the conclusion of a unit of work. I will create a page outlining how I am using each of these in Primary MFL, but let me give an overview of each here in brief. 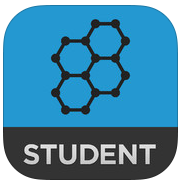 This very simple and appealing app allows you to set an assignment to be done live in the classroom by signing in with a code. Pupils work on their own iPads and you can see and interact with their work, giving live feedback and marking. You can type, write, add a photo (of a worksheet, for example) or a web link. Pupils can write or type their responses. Easy to use, delete, change text colour etc. Excellent quick marking possibilities. I was lucky enough to arrange a remote Nearpod tutorial session run by those very kind gentlemen at iPad Educators for interested staff at my school. It was excellent and gave us loads of food for thought, and I went away and experimented with various tools in the Nearpod box: multiple-choice quizzes for homework, or in the classroom but pupil-paced, cloze gap-filling exercises, live quizzes as a class. There are quite a few other features that Nearpod has but I haven't fully exploited these as yet. However, I have heard that people see it as just a web-based alternative to Powerpoint presentations and I couldn't find that further from the truth. There is a large amount of pre-made material to purchase or have for free but I've found absolutely nothing of use to me so I create everything from scratch and find that it's quick, intuitive and easy to use, producing beautiful quizzes tailor-made for my needs. It marks them for you and you can analyse and download the results to give individual feedback, for evidence or to mark progress. This was one of the first assessment tools I was introduced to when I got my iPads and my first reaction was that it was very fiddly to use with small buttons and a slightly old-fashioned appearance. However, it underwent a revamp and looks more attractive now with slightly improved user interface. I use it predominantly to assess simple writing tasks as the final application of a unit of learning, whether grammar or topic phrases and sentences. Its one drawback for me is that it requires absolutely precise responses from pupils which exactly match your specimen correct answer, marking pupils wrong if they put in an extra space, or a capital or full stop which you didn't have in your example. However, children do get used to that and it does breed greater accuracy among some, though not all! It marks for you and again you can download the results in an Excel spreadsheet, allowing you to manipulate the spreadsheet and override answers which you deem right but which the app recognised as wrong. I've been using these three tools this term to get my pupils to apply their learning of my new initiative, a progressive verb learning programme which I start at Year 4 and take right through to the end of Year 6. My hope and plan is that the children will go up to Secondary with a sound grasp of verb conjugations in the present tense, with simple future added to that. Using the iPads makes this potentially dry area of MFL more fun! I will write a future post with more details about this initiative but suffice to say that I use all three apps to get the children to apply their understanding of the verbs: Classkick for simple recall, like a vocabulary quiz, Nearpod for them to recognise and discriminate which verb is correct from a choice of four similar sentences, and Socrative allows them to show their skill - or otherwise - in applying that verb in a simple sentence. Using these three apps means that I'm quickly amassing a sizeable amount of data on reading and writing skills and it's encouraging me to work towards reporting on my pupils across the four skills of MFL - Listening, Reading, Writing and Speaking - as I am building a more comprehensive bank of evidence than I had previously. I have been teaching in a British School in the most beautiful corner of the Gulf for 21 years now, 17 of which I have been teaching French in Primary. CPD opportunities for Primary French are few and far between so distant from the UK, but eagerly seized upon when they happen, and at my last visit to the London Languages Show I heard about the wonderful network of MFL teachers on Twitter communicating under the handle #mfltwitterati. To be honest, once I had identified a small number of people to follow, Twitter began to feel like daily CPD! It's so refreshing and inspiring to read articles and hear about new ideas on a daily basis, that it has totally rejuvenated my teaching. Following some key Tweeters, particularly @joedale, @lancslassrach, @ICTEvangelist, @stevesingapore and @iPadEducatorsAE led me to learn lots about how teachers are using iPads in the classroom and I wrote a formal proposal to my Head requesting the chance to implement iPads in my classroom. Our school ICT policy at present is to explore a variety of ICT options rather than putting all the eggs in one basket and rolling out one device alone, so they were open to launching a pilot scheme which involved a small number of departments and staff leading the way on implementing various devices across the school, from Nursery right to Sixth Form. For example, I have a class set of iPads, while a member of the Senior Maths department has a class set of Android tablets, and a third colleague is trialling BYOD in her Year 6 class. Across other year groups and departments such as Early Years, PE and Drama, there are smaller numbers of devices and we are all sharing our experiences to help shape future plans and directions. I began with 11 iPad minis in November 2014, and threw myself into creating opportunities to integrate them to the curriculum. While one between two works fine for many things, I felt that the ideal scenario for many projects was to have one each, so four months after using the iPads, I wrote an evaluation document to the relevant people, and these 11 were augmented with a further 11 in Term 3, making planning and working all at once much easier. Key reasons for wishing for 1-to-1s were that the formative tools I use regularly, such as Socrative and Nearpod, didn't give me an accurate idea of who was making the mistakes when pupils were working in pairs; also, when creating more extended projects, I had to plan alternative activities for one half of the class while the other half worked on the iPads and I felt I was losing control of the teaching and learning, not being sure that everyone was engaged fully in each lesson. I was spending too much time trouble-shooting tech issues rather than teaching. Now with one iPad each, I can anticipate problems and explain solutions before they happen, leaving me freer to circulate and guide the learning individually. There is an incredibly steep learning curve from opening the iPad boxes to feeling that I have a grip on how best to use them to maximise learning opportunities. While much is made of the SAMR model of Substitution to Augmentation to Modification to Redefinition of tasks, a process has to take place during which I, as the teacher, am learning both about apps and their functions and shortcuts, quick-fixes and solutions when things don't go as expected. The Tech support team are great but they are learning about iPads at pretty much the same rate that I am, so often I have to find my own solutions. Furthermore, solutions need to be found immediately in a lesson, and the tech team aren't available on a call-up basis. Therefore, hand on heart, I can't say that in every lesson we are making perfect progress in learning. Each time we use them the amount of learning increases and the training on the tech aspect moves forward. But there isn't a short-cut to this process, and I've just had to accept that it's a necessary investment of time in future success, and if the MFL learning has taken a dip from time to time, then so be it. The end results are worth it! One delightful consequence of needing instant solutions to unforeseen problems is that the pupils themselves are usually the ones to find a solution - there's always someone in the classroom who's better than me in fixing a problem and they get to wear the green unicorn Tech Expert hat - just a silly little conical party hat I made six of, which for some reason the children love to wear. Having digital leaders is fantastic, and saves tons of time in a 30 or 40 minute lesson. The first person to complete a task immediately takes on a 'teacher' role and helps guide less confident pupils. So...the purpose of this blog is simply to share my experiences of using iPads in Primary MFL, specifically Year 4 to 6, with explanations of actual projects I've done, because that would have been a big help to me when I began and it cuts out a lot of the time-consuming exploration and investigation that I needed to do before presenting a project to my pupils. I hope it helps someone somewhere...!